Parenting in public is hard. Time stops as you imagine a thousand eyes staring at you. Embarrassment is burning a hole in your brain, and you cannot think. You imagine a neon sign flashing over your head: I’M A BAD PARENT, AND I HAVE NO IDEA WHAT I’M DOING. The entitlement child impulsively exploits public vulnerability; the entitlement-free child is stopped before getting the chance. The entitlement child, for fear of upsetting her fragile equilibrium, is excused from age-appropriate expectations whenever she is tired, sad, or distressed. As a result, she harnesses super-entitlement powers in public settings, creating a scene to get exactly what she wants. Entitlement-free parenting can de-stress this kind of volatile situation. It won’t make you or your child perfect—parenting is uncomfortable and messy at times. You can expect your child to act like an entitled two-year-old sometimes, but you must also accept full responsibility to teach restraint and respect for others. 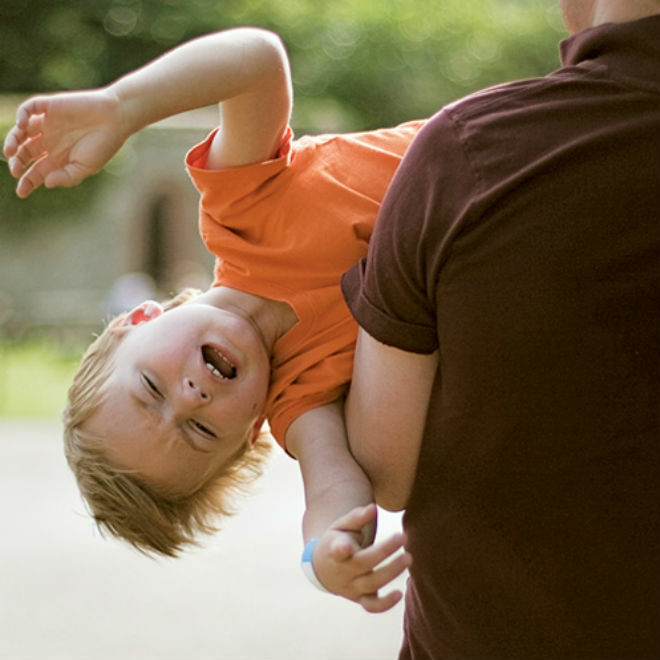 Saying no to a child is not easy, and staying calm takes practice. The entitlement-free parent faces the fear of doing the wrong thing in public but will be judged far less harshly, because the entitlement-free response teaches consideration for others. The entitlement-free child learns important skills when she behaves in reckless or careless ways in public situations. This skill-building is not accidental but deliberate and can only be learned through repeated practice in public places. She learns there are different expectations in different places, like quiet voices and walking feet. She learns to notice who and what is around her and which behaviors work well in different places. Anticipation is the best strategy for public entitlement dramas. There are usually warning signs to foreshadow the ensuing meltdowns: You see the crankiness before your child’s legs turn into spaghetti walking down the jetway ramp. You aren’t hallucinating when the first few peas fly past the waiter five minutes before your child is banging her head under the table. And, of course, you hope against all odds that your child won’t splash the giant urn of holy water yet again, but you will be mistaken. Be honest. You really do know your child. And you can be ready for anything she will do. Expect the unexpected, so you aren’t analyzing all your options when that “bad parent” neon sign starts flashing above your head. Act decisively and effectively, and be a realist. If your child can’t sit still, you won’t be able to keep her happy with a couple of books on the plane. If she loves to scream, she won’t be able to sit quietly in the grown-up movie. There’s absolutely no way your child will act differently if you don’t teach her more appropriate options. Finally, don’t allow behavior today that you’ll have to “un-teach” next month or next year. Instead, build a foundation of success. Give your two-year-old only small amounts of food in the restaurant, so it doesn’t take a SWAT team an hour to clean the mess under the table—then she’ll know how to eat from a plate when she’s four. Explain to your child that the aisles of the theater are not for running, so she knows it’s a special kind of place. Five minutes of appropriate behavior reinforces long-term habits that only get easier with experience and maturity. Twenty minutes of inappropriate behavior is that much more to be “un-taught” another time. 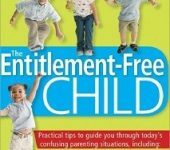 for more on Raising Confident and Responsible Kids in a “Me, Mine, Now!” Culture , see The Entitlement-Free Child, also by Karen Deerwester.